Firefox 3.5 has been released several weeks ago, but some Ubuntu 9.04 users out there may still be using the older 3.0 version. They should not expect that they will get an automatic update since this latest Firefox release will not be officially included in Ubuntu until 9.10 "Karmic Koala". But no worries because it is very much possible to install Firefox 3.5 on Ubuntu 9.04, and in fact I'm using it right now. I will be showing you the two different and very easy ways on how to do this. However, you may ask: what will I get from upgrading to 3.5? Well, aside from the features that were highlighted on this post, I've noticed improvements in speed, user experience, and page rendering. Is the upgrade worth it? I refrained from writing this tutorial immediately after I've installed Firefox 3.5 because I wanted to know first if it will work well on Ubuntu 9.04. And since it has no major issues what so ever and it's running really great right now, I highly recommend that you should also upgrade. 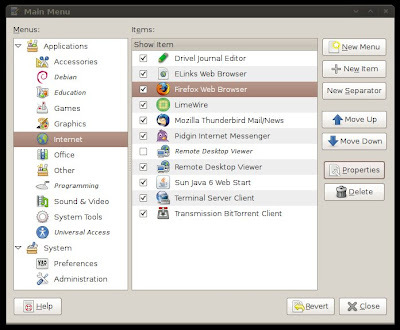 Ubuntuzilla is a Python script that will let you easily install and update Mozilla applications that are not yet available on the Ubuntu repository. 1. Download your appropriate .deb package of Ubuntuzilla from HERE. Install it. 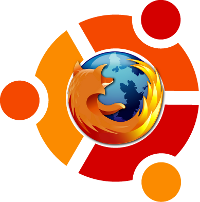 Ubuntuzilla will guide you through the installation process, and you should be able to install Firefox successfully. 4. 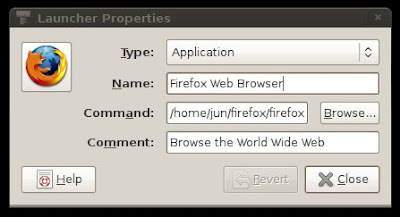 You can now run Firefox 3.5 via "firefox" command, or simply click on Firefox from the “Applications Menu”. The “firefox_backup” file will be found inside your "/home" directory. The first time you run Firefox 3.5, it will start updating your Extensions and will check for compatibility among other things. By now, a lot of popular extensions are updated to support version 3.5. The only thing is that it will appear as shiretoko, and firefox 3.0 will still be installed. Unfortunately, this is not exactly an upgrade, rather a new install onto your ~/ folder. I was not successful with the ubuntuzilla installation; perhaps this one is an upgrade? I don't really like to have several installations of the same product hanging around stale in my system. PS: the 3.5.1 takes care security issue found in 3.5. Uhm, how about sudo apt-get install firefox-3.5? After all, 3.5 final is in the universe repositories. It's in the universe repos. how do you make FF3.5 your default browser and have links in kmail, TB, etc open FF 3.5? so what is wrong? I was able to install 3.5 on my laptop a few days after 3.5 was released. Thanks so much for this. I was able to successfully install FF 3.5 via the second method.